Yves Rocher Parkson Opening Special: Free Les Plaisirs Nature Shower Gel 50ml! 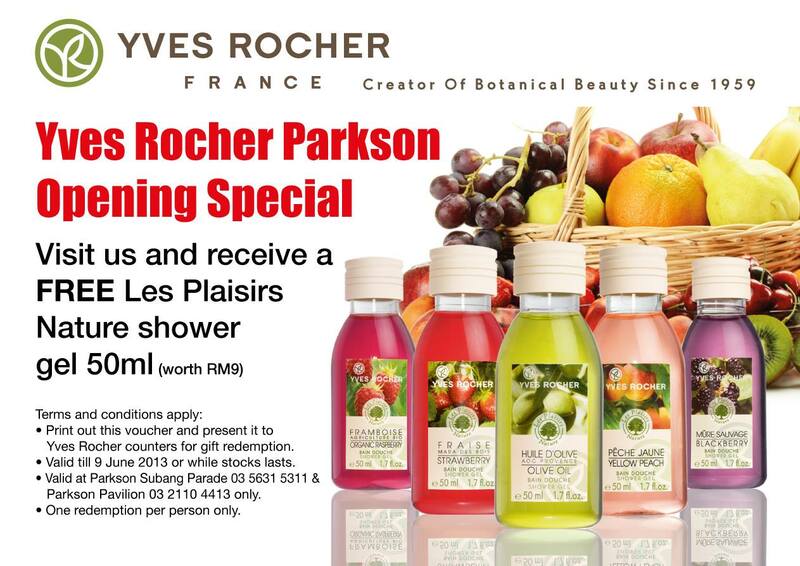 Taken from this Parkson FB shoutout, print out the voucher and present to Yves Rocher counters for your FREE Les Plaisirs Nature Shower Gel 50ml (worth Rm9). Valid only at Parkson Pavilion, and Parkson Subang Parade. Offer runs till 9th June 2013, or whilst stocks last! wow nice.. hope not too late.. hiya.. need print out voucher.